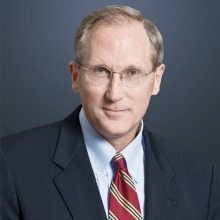 The Northern Virginia Technology Council (NVTC) will host its Titan Breakfast Event featuring CSRA President and CEO Larry Prior III on April 7, 2017, at The Ritz-Carlton in Tysons Corner. Prior will discuss last year’s merger between CSC and SRA International to form CSRA and how these changes allow the company to drive innovation and better address customer demands. He will share the company’s focus on next generation IT, discuss how digital technology is transforming government and explain CSRA’s vision of the future. The event will open with registration and networking from 7:15 to 7:45 a.m., with the program from 7:45 to 9:15 a.m.